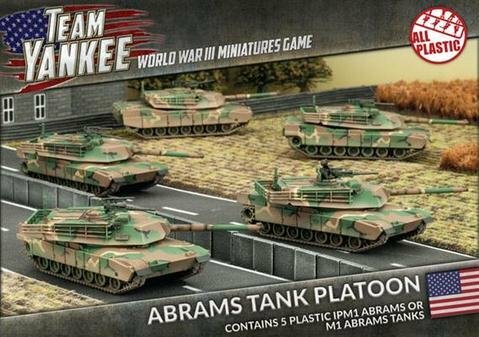 Includes five plastic M1 Abrams tanks, resin tank commander sprue, three Unit Cards & decal sheet. The M1 Abrams is America’s first totally-new battle tank since the Second World War. Its top secret Chobham armour makes it one of the best protected tanks in the world, and one of the heaviest tanks. Despite this, its multi-fuel gas turbine engine makes it the fastest as well.